The Museum itself is unique, as we are the only railway museum in Wellington County. The museum has on display numerous railway and Victorian artifacts on display that have been generously donated by members of the community and surrounding areas. We also host a large library of railway books which are located in our genealogy room. The museum has numerous railway records and has begun to collect microfilm resources which can be accessed by individuals who wish to research their family history and discover ancestral ties to the railroad. The town of Palmerston has a very unique history in Southwestern Ontario. When the railways began to extend to this part of the province, the vast majority of towns already existed when the railway lines were built. As a result, the stations were built on the outskirts of the towns. Did you know… Palmerston is home to the shortest main street in Southwestern Ontario, as well as the longest pedestrian bridge in all of Ontario. Palmerston, however, came into existence in the 1870’s with the arrival of the Wellington, Grey and Bruce Railway. Since the town was built around the railroad, Palmerston has the smallest main street in Southwestern Ontario, as well as the longest Pedestrian Bridge in all of Ontario. 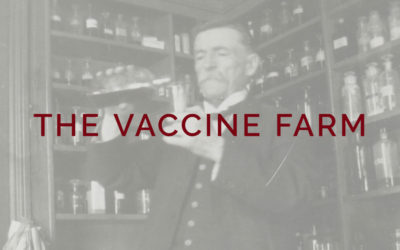 Established in 1885, the Vaccine Farm in Palmerston was the first institution to produce a smallpox vaccine in Ontario. 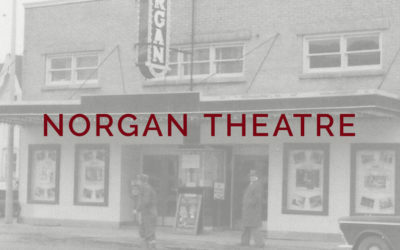 The Norgan Theatre has provided entertainment to the movie lovers of the Minto community and area for almost 70 years. 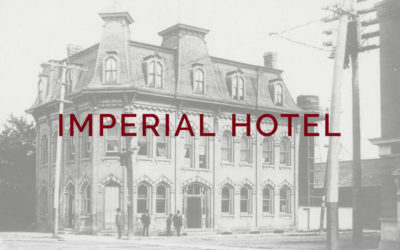 As the wrecking date for the Imperial Hotel drew near, the Palmerston Observer kept the town updated on the progress. The Palmerston Railway Heritage Museum is a non-profit organization managed by volunteers. Operating and restoration resources/funds for the museum are derived from a variety of sources. Several community organizations have been generous supporters of the museum through donations of funds, materials and expertise. The Palmerston Lions Club has funded a handcar storage shed. Local residents have donated items of railway and community interest, and displays on the second floor of the Museum have been contributed by local sports and youth organizations. Individuals and service organizations have participated in the laying of track, roofing and painting of the baggage building, and renovations and updates within the Station. The Palmerston Railway Heritage Association has sponsored several fundraising events, including Strawberry Socials in June, and a Christmas Open House and Silent Auction in late fall. Individual and community organizations donate prizes and items for auction. Future projects will be undertaken as volunteers are available. Click here to learn how you can get involved. The Museum applies for funding grants for both operating expenses and special projects. An application to Service Canada has been approved annually for a student employee for June, July and August.